The Rolex Kentucky Three Day Event is America’s premier eventing competition. Held each April at the Kentucky Horse Park in Lexington, Rolex is the only regularly-held four star CCI in the Western Hemisphere and it attracts the top competitors in America, as well as a regular contingent of international riders. This year, a number of horses and riders who train and compete in Aiken over the winter are on the road to Rolex, including some that have galloped over the course many times before, and others for whom this will be the first time. These are a few of their stories. Phillip Dutton is a Rolex veteran who won there in 2008 riding Bruce Duchossois’s Connaught. During the winter, Phillip is based out of his own Red Oak Farm in the Bridle Creek equestrian community and he spends his summers at True Prospect Farm in West Grove, Pennsylvania. This year, he is on his way to Kentucky with three horses: Fernhill Cubalawn, owned by Thomas Tierney and Simon Roosevelt; Mighty Nice, owned by Caroline Moran, Annie Jones, Michael Bombar, Kevin Keane and Evie Dutton; and Fernhill Fugitive, owned by Thomas Tierney and Ann Jones. Dutton was thrilled to have Mighty Nice competing again this spring after the horse was laid up with an injury last year. Might Nice, “Happy”, finished third in the CIC Two Star Carolina International at the Carolina Horse Park in mid-March. Phillip also finished eighth in that competition on Mr. Medicott, owned by the Mr. Medicott Syndicate. Mr. Medicott, “Cave” was also returning to competition after being laid up. After the event, however, Dutton decided to withdraw him from Rolex, not wanting to risk aggravating a tendon injury that he sustained there last year. Currently, Cave is sound, and Dutton’s goal is to ensure that he still has a bright future at the upper levels by not putting undue stress on the tendon. “I think it’s better for him and I’d rather be safe than sorry,” he said wistfully. Dutton won the Carolina International CIC Three Star on I’m Sew Ready, who will not compete in Kentucky, while his Rolex-bound horses Fernhill Fugitive and Fernhill Cubalawn finished sixth and 16th respectively. 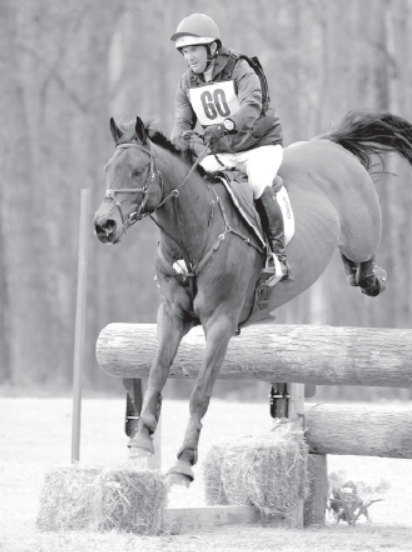 “Cuba”, a Holsteiner gelding, won the Intermediate at Pine Top back in February, and both horses had top five finishes at Pine Top Advanced Horse Trials. 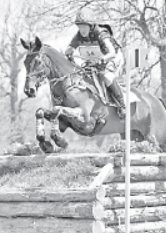 Both Fernhill horses also competed at Blenheim (England) last year and performed well; Dutton said Cuba was previously ridden by Alex Green and has more experience at the lower levels, while Fernhill Fugitive is a little greener than his stable mate. This will be the first trip to Rolex for both horses. Sally Cousins started her 17-hand Thoroughbred mare Tsunami III, known as “Sue”, back into work on December 1, and she has had her sights steadily on Rolex all winter. Sally owns a farm in Aiken, so she’s able to spend the winter training in better conditions than at her northern base in Pennsylvania. “The footing is great and there are a lot of opportunities to get the horses out to competitions or cross-country schoolings. The footing in Pennsylvania is either way too muddy or frozen so we have to come to Aiken to get ready for Rolex,” she said. 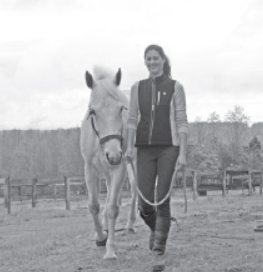 Based in New Jersey in the summers and Aiken in the winters, Holly Payne competed in Kentucky last year aboard Madeline, a 15.1 hand Thoroughbred mare owned by Jill Gordon. However, the pair retired on the cross-country course. This year, Holly will be aiming to complete her first four-star, riding Never Outfoxed, an unraced 9-year-old Thoroughbred gelding owned by the Fox Syndicate. Payne started taking dressage lessons with Kim Severson and said they have been working on keeping Fox’s brain “slow,” getting him relaxed and comfortable. “The dressage is still a work in progress,” she said. 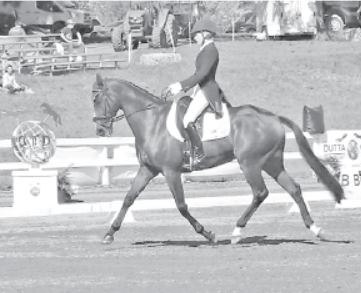 “This past weekend at the Carolina International he was relaxed as he’s ever been before the dressage. I was trying a new strategy though, and it didn’t work: I didn’t put any pressure on until we got in the ring, but then he just lost it. He almost fooled me because he was so good getting there! 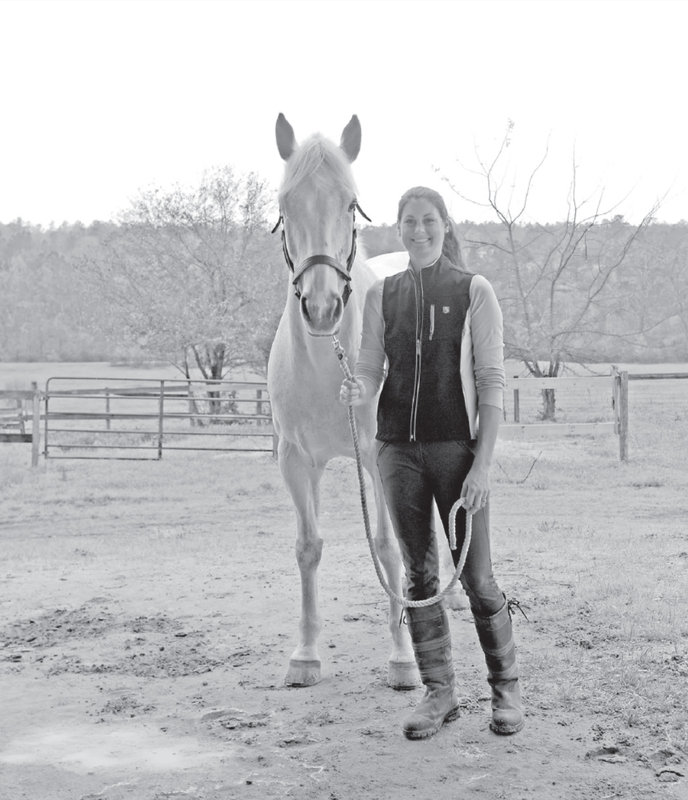 Last fall in New Jersey, Holly worked with a show jumping trainer, Amanda Fletch, on many of the same things that Severson has pinpointed in the dressage, getting Fox to relax and think slowly. Allie Sacksen and her 15.3h Connemara/Thoroughbred gelding Sparrow’s Nio caught major attention when they won the 2013 Fair Hill International CCI Two Star, and in 2015 they will be competing in their first CCI Four Star at Rolex Kentucky. Allie says she has been preparing for Rolex by trying to keep things as normal as possible for herself and her horse. Sacksen’s prep events for Kentucky included Full Gallop here in Aiken, the Carolina International CIC Three Star and The Fork CIC Three Star in North Carolina. Nio has been mainly sound and fit through their preparation, though back in January he had his first hoof abscess, which Sacksen said was very stressful for her. Sacksen, who is from Fair Hill, Md., spent the winter in Aiken and described it as an unbelievable experience. 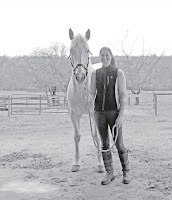 “I had the opportunity to train with Richard Lamb in the show jumping; he coached my husband while he was training in Modern Pentathlon and is very involved in the United States Pony Club. He has been great helping dealing with the nerves and jitters of training for such a big event. I also have been able to work with Mara dePuy on the flat and she has helped push me and Nio a little more in the flat. The Rolex Kentucky Three Day Event includes two full days of dressage, so the event actually runs for four days, Thursday, April 23 through Sunday, April 26. There are many more Aiken-based riders who have sent in their entries, including Kate Chadderton with Collection Pass, Courtney Cooper with Who’s a Star, Kevin Keane with Fernhill Flutter, Boyd Martin with Cracker Jack, Master Frisky and Pancho Villa, Colleen Rutledge with Shiraz and Covert Rights, and Kristin Schmolze with Ballylaffin Bracken. William Fox Pitt from England, who has won the event three times in the last five years, will be back with three horses, including last year’s winner, Bay My Hero, the winner in 2012, Parklane Hawk, and Freddie Mac, an up-and-coming 11-yearold gelding. Find out more about Rolex at www.rk3de.org.